Mumbai, 29th December 2018: Truebil, India’s leading omni-channel platform for buying and selling of pre-owned cars, recently announcedDon’t Drink and Drive’ campaign, aimed at encouraging revelers not to drink at all if they plan to drive. Truebil, decided to start an initiative to build awareness around the topic, create a buzz and help save lives. Thus was born the ‘I am Sober’ campaign a year back. Encouraged by the overwhelming response, this year they followed it up with the ‘Don’t Drink and Drive’ campaign that dwelt on the scary effects of drunk driving; on the horrifying aftermath. Truebil is India’s leading omni-channel platform for buying and selling of pre-owned cars. With 1000s of cars that are carefully handpicked and inspected, Truebil’s customers don’t only have ample choice but also the assurance of a detailed report of each car along with pictures that can help them make informed purchase decisions. 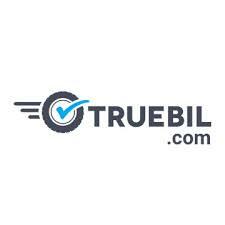 Based out of Mumbai, Truebil makes the process of buying and selling pre-owned automobiles completely hassle-free. It also offers end-to-end services on the entire buying/exchange process through easy loan and paper transfer. The platform has also introduced its full-stack model Truebil Direct that maintains a unique online to offline integration. Truebil Direct enables buyers to shortlist and buy best-quality cars directly from its offline dark stores with a 1-year comprehensive service warranty, 1-year Roadside assistance, and 1 free servicing. Truebil is currently operational in the three major cities of India: Mumbai, Bangalore& Delhi.